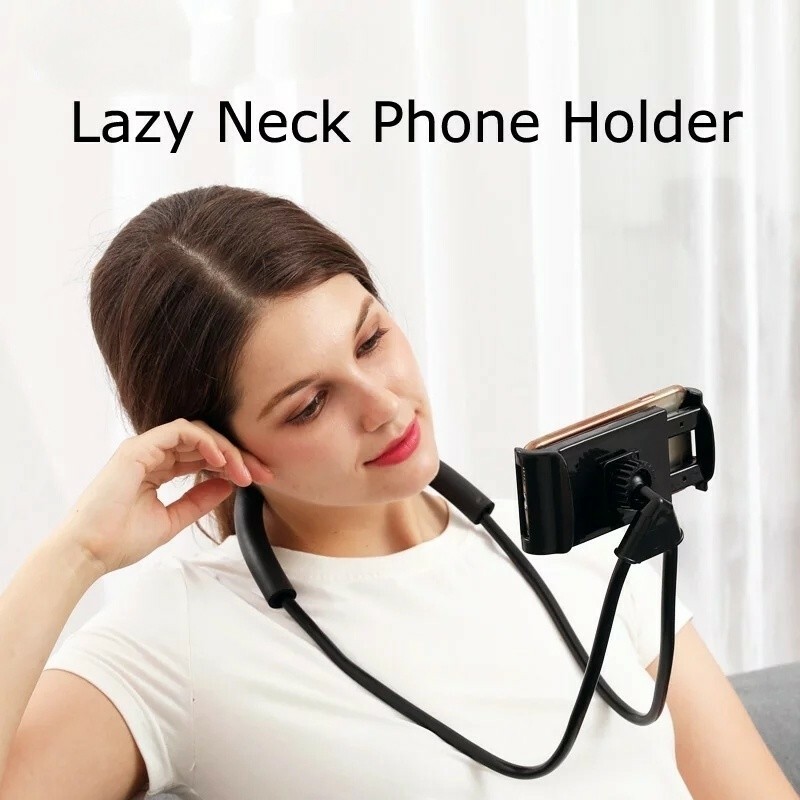 Lazy Hang Neck Phone Support Holder, Multi-function Creative Mobile Phone Holder Desktop Bed Car Lazy Bracket Mobile Stand DESCRIPTION: Flexible & Adjustable -- DIY design, easy to adjust to any shape you like, just free your imagination. Free your hands -- Perfect for reading, movie & video watching in bedroom, car, metro, bus, bicycle, train, plane, gym, office, classroom, park, exhibition, anywhere. Universal -- Universal mobile phone stand. Suitable for any phone or device from 4 to 9.5 inch. Sturdy and Comfortable -- Ultra stable, no shaking, hold your phone firmly in place, with soft sponge, it is comfortable to wear it on the neck. Extremely lightweight -- only 100g, made from aircraft-grade magnesium alloy, light weight and very strong.